The last 8 months have been a total blur. Back in February, my husband and I moved back to our hometown (an hour and a half away from where we were living), I started a brand new job, and we spent 7 months living in my parents basement as we searched for our own place. After realizing we enjoyed being home, we decided to place our roots here, and bought our first house in September. Upon buying our home, one thing I was really excited about was the opportunity to have my own makeup/dressing room. My husband, sick of knocking my bottles of random goo and makeup around while we lived at my parent's house, was ALSO excited for me to have my own makeup room. I set up shop, but quickly noticed that the lighting in my room was horrible. On weekdays it's not even light out while I get ready for work, so natural light isn't an option. Not ideal when the days I choose to wear makeup are typically weekdays. I started looking for a solution right away. 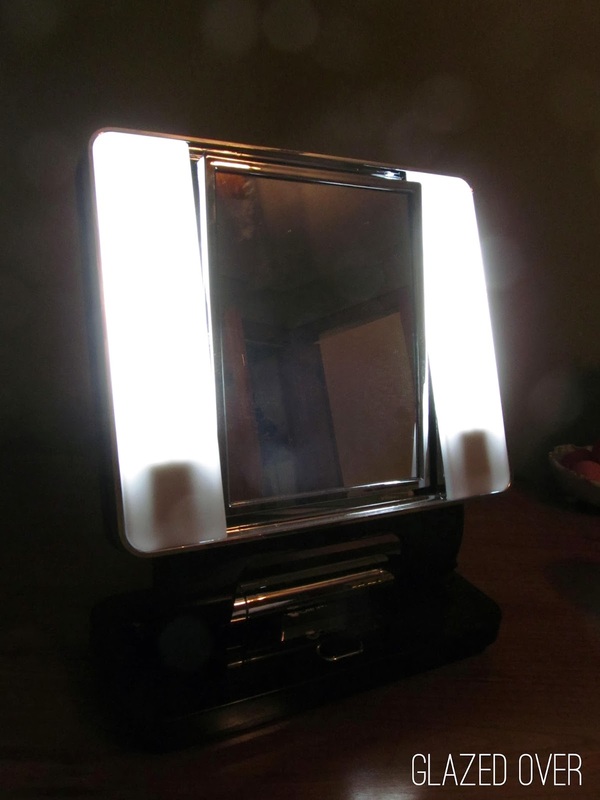 Say hello to the problem-solver, the OttLite Makeup Mirror. This thing is the bomb. As you can tell from the picture, the two lights are on the side, with a mirror in the middle. The mirror actually flips, too; one side is normal (1x magnification), the other side has 5x magnification for mega-detailed, up close makeup application. Hopefully you can tell just how bright this puppy is from the picture above, however it's not too bright. 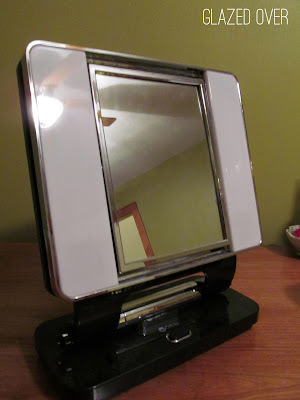 The best part about this mirror is that it mimics natural lighting, something I've never been able to find in any makeup mirror. Most often, makeup lights have warm, yellow lighting which doesn't allow you to see the true color and application of your makeup. This mirror is just like opening the window curtains and letting the natural light in -- it's truly amazing. Another great thing - the price is really affordable. I got mine on Amazon for $49.99, but you can also get an OttLite at Target, too. I couldn't recommend the OttLite enough. If you have bad, or overly yellow lighting in your house and want to apply your makeup how others are see it in "real life", this is what you've been searching for. Great price, great product -- get you one! These lights are great to craft under, too, as their true color and easy on the eyes. 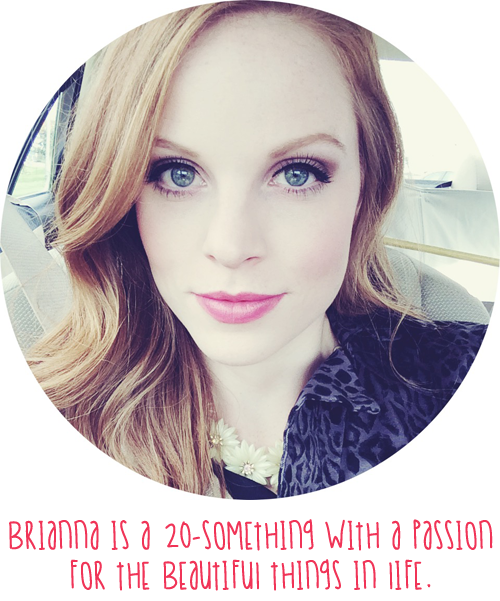 Loving the blog, Bri! OMG, horrified at my mis-use of "their" that I just noticed! Gah. Never comment in a hurry!